Small businesses tend to have a tight budget. No wonder if they often look for free software to grow their business. Or at least freemium software so they still be able to use the free version despite the limited features. As their business grow, they can upgrade to premium version if needed. If you run a business, regardless its scale, email is the channel you should be playing in. Compared to social media marketing, email marketing is better for a long run since you don’t need to worry about the algorithm change. There are actually tens of email marketing software you can use out there. However, not all of them are really suited for small business. 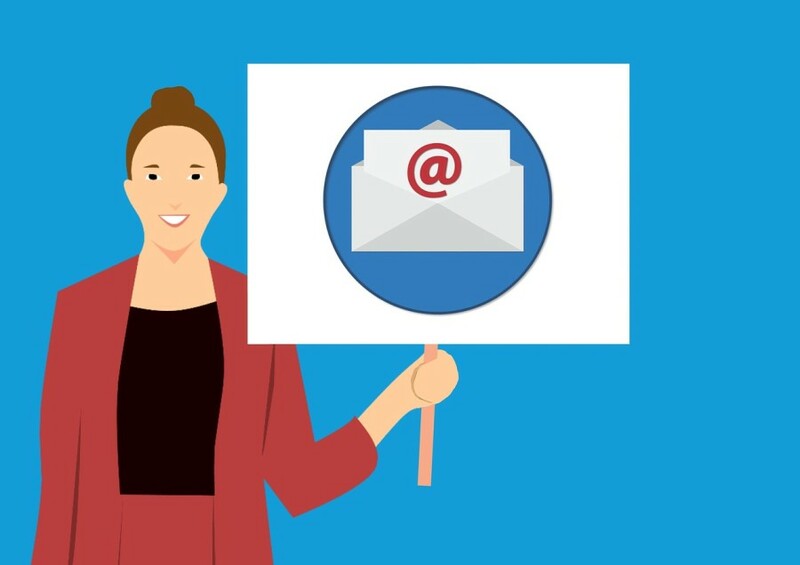 If you are running a small business and need a free email marketing software, following are 6 of the best options you can try. SendPulse is one the best email software for small business. It is because you can use it for free. SendPulse is a freemium software. You can get started with the free version to use this tool and upgrade to the premium version once you think you need to do so. 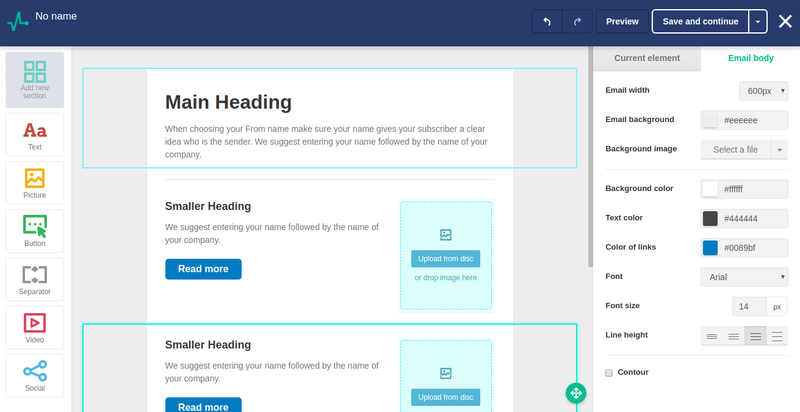 SendPulse is a feature-rich email marketing software. It has nearly everything you expect from an email marketing software. From bulk message feature, drag and drop email editor, subscriber manager, registration form and so on. We have a review about SendPulse here in case you are interested to give it a try. Zoho Campaigns is another worth-trying email marketing software for all small businesses. It is also a freemium software so you have a chance to use it without needing to spend a dime. The free version of Zoho Campaigns allows you to send up to 12,000 emails per month to 2,000 subscribers. Not a bad amount. It also comes with all features you need from an email marketing software just like SendPulse. Zoho Campaigns has a real-time analytics feature which you can use to keep track of your campaign performance. This analytics feature shows such statistics as the number of email clicks, email opens, unsubscribes and bounces. Zoho Campaigns also has a large integrations. You can integrate it with other services like Shopify, SurveyMonkey, Eventbrite, WordPress and so on. One of the reasons why small business owners use MailerLite is because it offers a variety of beautiful subscription forms. You can install an attractive subscription form on your website using this email marketing software. In general, the features offered by MailerLite are not much different to two first email marketing software above. It also provides a bunch of ready-to-use email templates. 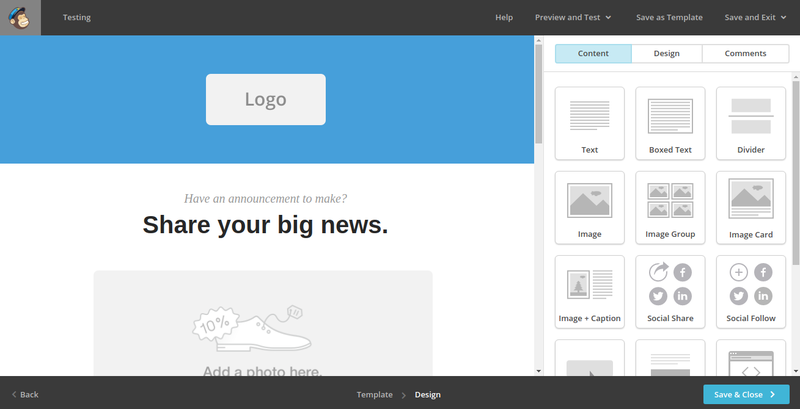 Or, you can also design your own email campaign in case there is no email template suitting your need. The free version of MailerLite itself allows you to send unlimited emails with the maximum subscribers is 1,000. MailerLite also has a large integrations in case you use other services like Shopify, OptinMonster and Zapier. SendinBlue is the email marketing software you need if you want to collect subscribers in a large number for free. The free version of SendBlue allows you to have as many email addresses as you want, but you are limited to 300 emails per day. Or 9,000 if calculated monthly. The overall features offered by SendinBlue are not much different to all similar software above. 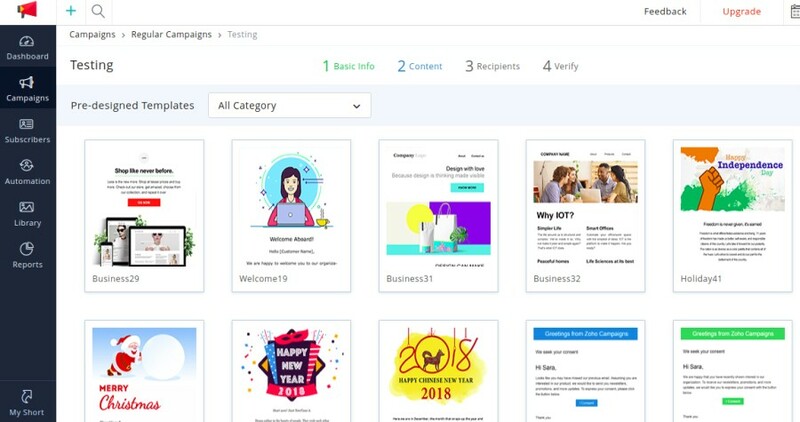 SendinBlue also comes with subsriber manager, drag and drop campaign creator, campaign report, marketing automation and integrations. Some services you can integrate with SendinBlue are Shopify, Salesfore and WordPress. MailChimp is probably the most popular email marketing software. One of the reasons is because this email marketing software has a large integrations. The vast majority of tools and services that support email marketing integration usually opt to MailChimp. In terms of feature, MailChimp is basically not much different to other similar tools on this list. MailChimp also adopts a freemium business model with the free version allows you to send up to 12,000 emails to 2,000 subscribers. Mailjet is another great email marketing software to collect unlimited subscribers for free, while the maximum amount of email you can send per day is 200. Mailjet also has all features you need of an email marketing tool. 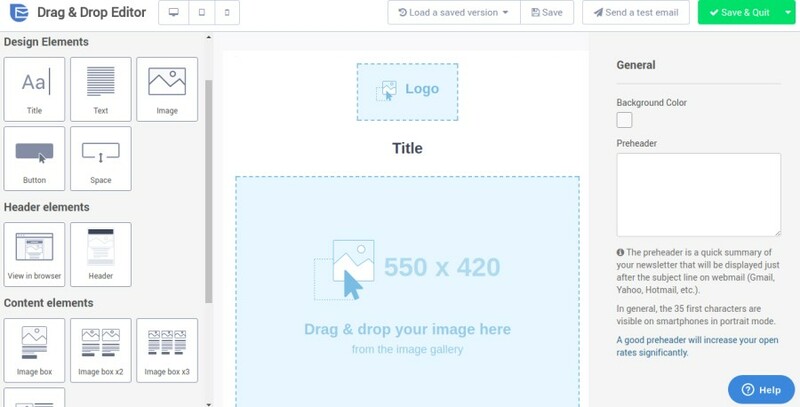 From subscriber manager to drag and drop email builder. One of the unique features you will probably love to is the real-time monitoring, which is currently still in the beta phase. Mailjet also allows you to schedule campaigns. Mailjet also support integrations. There are over 80 tools and services you can integrate with it. Next articleSamsung Chromebook 3 vs HP Chromebook 11: Which One You Should Buy?